Celebrate the 25th anniversary of that classic gaming device by building your own with 3d printing and DIY electronics from adafruit. 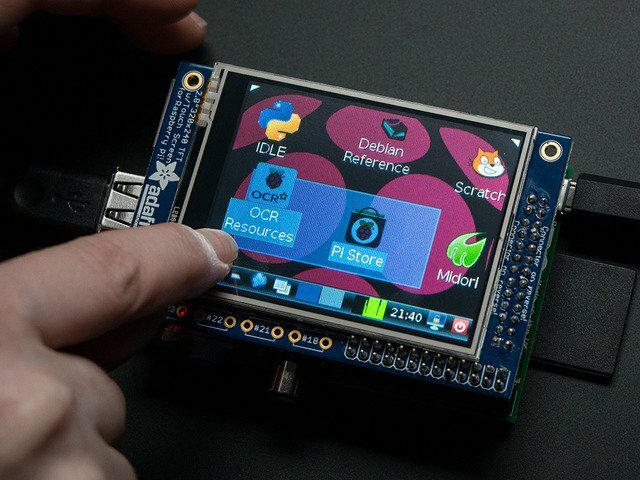 In this project we'll use a raspberry pi and TFT touch screen to make an epic DIY gamegirl. Since it's a Raspberry Pi Linux computer, we can run differerent emulators on it. We happen to be partial to 8-bit NES but there's also MAME support and maybe you could even hack-in support for your favorite old console! The 3d printed enclosure will house all the components and can be printed in your favorite color. We'll hack an SNES gaming controller and reuse the printed circuit board, buttons and elastomers. If you're relatively new to the Raspberry Pi and PiTFT 2.8 kit, you should definitely check out these guides before starting! This project is just two pieces! They are optimized to print on any FDM 3d printer with a minim build area of 150mm x 150mm x 100mm. Perfect for printing your Printrbot, TAZ4, RepRap or makerbot. Check out info below for recommended slicer settings. The two pieces snap together and are secured with philips screws. The Raspberry Pi, PowerBoost 500 and Micro Lipo charger are mounted to the piboy-bottom.stl part with #6-32 x 1/2' phillips screws. The tolerances are optimized for PLA filament but may work with ABS and other material types. Since the enclosure is only two pieces, it's easy to swap out cases for different colors! This design is optimized to print with no support material. The illustration below is a reference of the power circuit and the game controller buttons. The position of the components are not exact and not to scale. 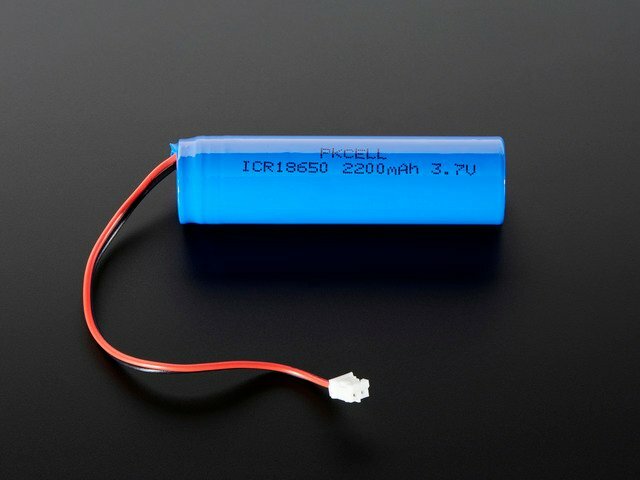 The good thing about this battery is it's fairly small and dense. But it doesn't have 5V output, it only has aboue 3.7V output. And you really need 5V. 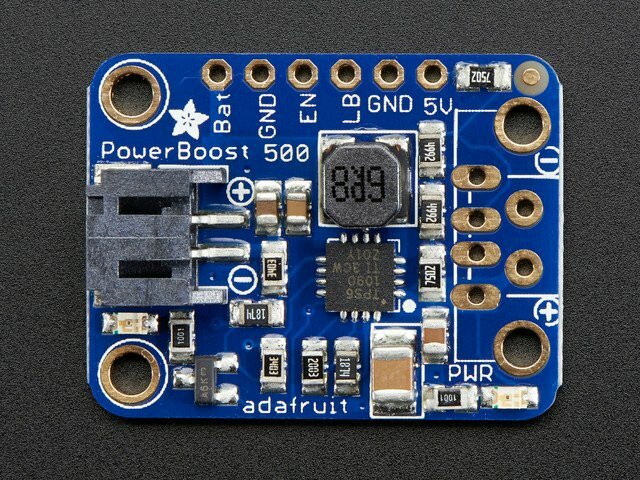 So we'll use a PowerBoost500 which can boost the 3.7V up to a nice clean 5V which the Pi likes very much. When the battery dips too low, a red light on the PowerBoost will light up to warn you its time to recharge! 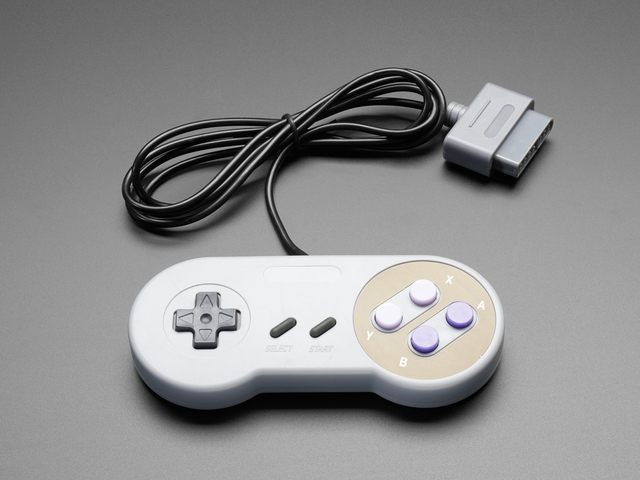 In order to make the control pad feel just like the original, we'll 'recycle' a SNES controller. By opening it up and cutting out the PCB we can reuse the rubber elastomers and buttons. Your keypad may be slightly different looking! Don't worry! Just trace out the copper to identify the common ground trace for each set of buttons! 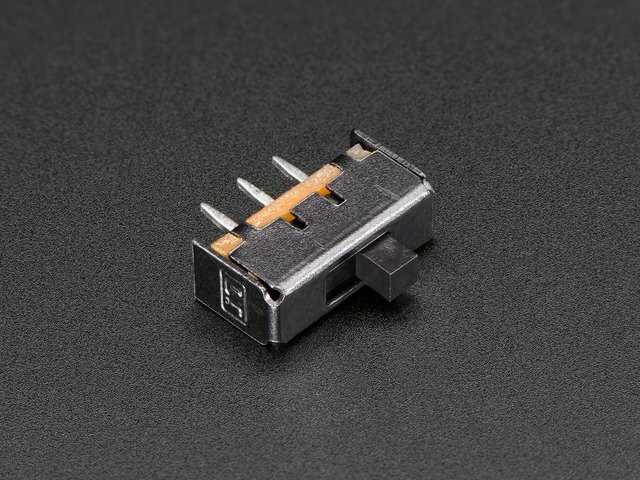 Below is a list of Raspberry Pi connections that will be wired to the corresponding buttons. 1-26 are the number of wires in a Pi cable bundle, with 1 being the white (ground) colored wire. We dont connect to the last 6 pins because those are used for the PiTFT display! Our 2.8' touch screen kit includes the goodies you'll need for assembling the screen. 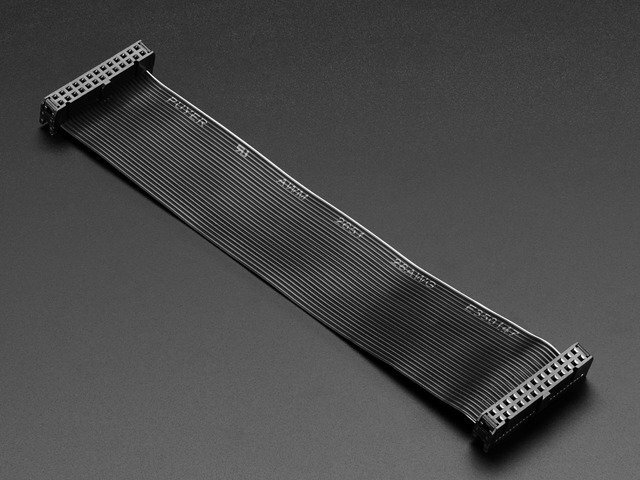 You just need to solder the extra tall male and female 2x13 headers to the PCB. Be sure to check out our step-by-step guide by clicking the link below! Here's a quick tip on soldering those headers. If you have any fun-tac, place a bit of tac on sides of the headers to hold them in place while you solder and remove it when you're done. Bridge the 500mAh connection on the micro lipo usb lipoly charger by applying a good amount of solder to the two golden pads. 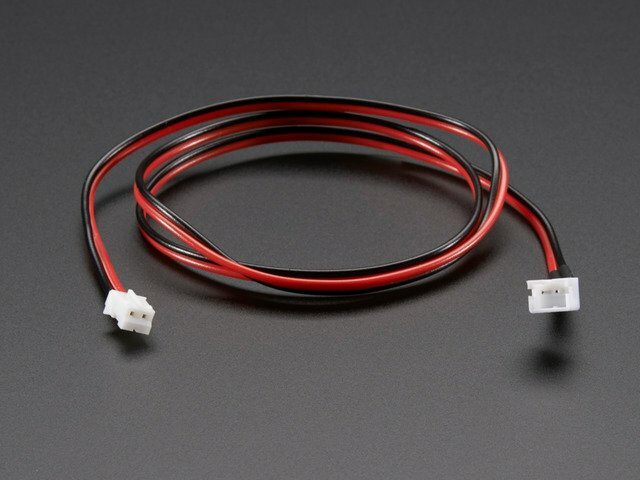 Grab a set of wires with a JST male connector that's about 60mm in length (you probably have the one that came with the miniLipo charger!) Insert the positive and negative wires through the right mounting hole. Strip the wires and place the exposed wire into the GND and BAT pins. Plug in the battery with a JST connector to the MiniLipo charger. Plug the JST from the charger to the PowerBoost 500. Check to see if the green LED lights up on the PowerBoost. If it does, it totally works and is Boosting fine! Secure the slide switch to a third-helping hand. Tin the two terminals of the slide switch. Solder two wires (about 80mm in length) to the slide switch. Solder one wire to an outer most terminal and the other to the middle terminal. Secure the PCB to a third-helping hand and position the two wires from the slide switch wire to GND and EN pins. Flip the PCB over and bend the exposed wires down to secure them while you solder the EN and GND pins. With the parts all wired up, you can insert the slide switch into the piboy-bottom.stl part through the switch hole on the side. This battery may come with a set of two wires that have a male JST connector. You'll need to trim that wire down to about 6mm and solder it to the set of wires that are soldered to the end of the battery. Be sure to tin the wires and use heat shrink tubing! We'll be recycling a GPIO cable for the Raspberry Pi to get to the many wires necessary! Before chopping off the connector, check to ensure it's the right end. Use a pair of wire cutters to snip off the connector. Separate the Pi cable wires and familiarize yourself with the wiring list outlined in the circuit diagram. Use a wire stripper to strip the ends of the individual wires. The wires can be pulled all the way but peeling it half way ensures it stay neat and tidy once its connected to the Raspberry Pi. Remove the last 6 wires from the bundle, we won't be needing them in this build. This is the OPPOSITE end from the one with the white wire! Also remove wires #1, 4, 8, 10, 17, 18, 19. We won't be needed these also, so trim them down! If the PiTFT screen is attached to the Raspberry Pi, remove it and add the Pi Cable in the correct orientation, with the middle sockets lined up and the arrow pointing to the white wire. You'll need to gut a SNES gamepad controller and use the buttons, elastomer gaskets and PCBs. Start off by disassembling the controller by removing the screws in the back of the controller. With the back plate removed, carefully remove the cable from the enclosure followed by the PCB, elastomer gaskets and buttons. Secure the gamepad PCB to a panavise jr. or third-helping hand. Heat up your soldering iron and unsolder the 5 small wires from the main cable. We'll need to separate by PCB into three pieces - DPad, A+B , Pause + Select. You have the option to choose your preferred method. We found using a Dremel resulted in a higher quality than using super scissors. Be extremely careful when using power tools and sharp tools. Wear protective eyewear. Only in an area with proper ventilation. Consider wearing a dust mask. Use a proper vise to secure PCB while cutting. Use an xacto knife or razor blade to expose the needed traces that will wire up to the Pi cable. Follow the photo above and the circuit diagram to reference solder points. Now that your PCBs are cut and etched, you'll need to tin the pads with a bit of solder. Again, use a panavise jr. or third-helping hand for assisting while you solder. The SNES controllers tend to use phenolic PCBs which do not take extended heat as well as FR4 so work quickly and studiously! Solder wire #3 to the left button on the exposed trace of the DPad PCB. There's a small hole you can thread the wire through. Solder wire #5 to the right button of the DPad PCB. Solder wire #7 to the down button of the DPad PCB. Tweezer are handy while soldering! Solder wire #9 to the ground of the DPad. Solder wire #11 to the up button of the DPad. Solder wire #12 to the start button on the start+select PCB. Solder wire #13 to the A button on the A+B PCB. Solder wire #14 to the ground of the start+select PCB. Put the soldering iron down and double check all the wires are soldered to the right buttons. Solder wire #15 to the B button on the A+B PCB. Solder wire #16 to the Select button on the Start+Select PCB. Solder wire #20 to the common ground of the A+B PCB. Take one last pass at the wiring and reference the list in the circuit diagram. If everything looks good, move onto the next page! This is a big file (about 840 megabytes) and will take a while to transfer. After downloading, the disk image needs to be installed on an SD card (4GB or larger). If you’re new to this, the process is explained in Adafruit’s Raspberry Pi Lesson 1. Attach a keyboard to the PiTFT+Pi and insert the new CupCade SD card. Once you boot the Cupcade you'll notice that the display is vertical. You'll have to rotate the screen! Then sudo reboot to have the new rotation activate! For MAME ROMs, you'll only be able to play 'horizontal/landscape' style ones! For NES ROMs, you need to use .nes file format (not .ZIP!) and place them in the following directory path. All of your NES ROMs need to be in this folder in order for the emulator to run them! Insert the Pi cable into the back of the Pi TFT in the correct orientation. 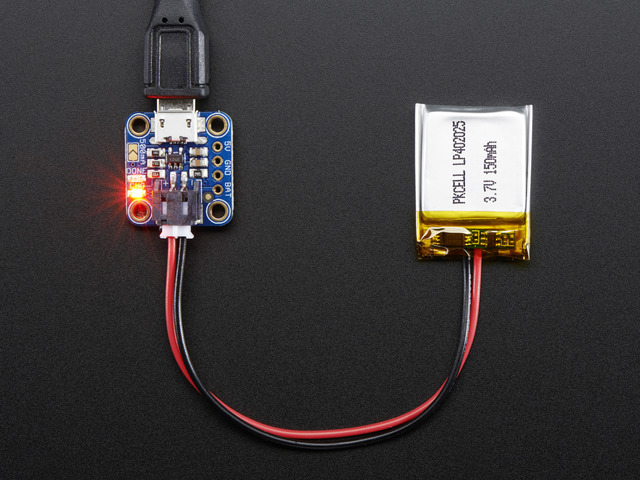 Test the circuit with a USB micro cable connected to the micro USB port on the Raspberry Pi. Connect a USB keyboard to the side of the Pi for input. Remember you have to set up the screen rotation to be 270 so check the previous step if you haven't done that yet! Lay the D-Pad elastomer gasket over the PCB and place the plastic part on top. Press the D-Pad up and down to test for a solid connection. Add the rest of the elastomer gaskets and select a game to play test. Run Mario or something similar to test out the latency. It may be a little difficult to play like this but will feel more natural with the top part on. The Raspberry Pi is mounted to the piboy-bottom.stl part with 2 #6-32 x 1/2' Phillips screws. Position the Pi into the bottom enclosure and hold it in place while you fasten the two screws. Solder wire #2 to the Positive+ pin and #6 to Negative- pin on the PowerBoost 500. Solder wire #6 to the negative- pin on the PowerBoost 500. The MiniLipo charger is mounted to the piboy-bottom.stl part with 2 #4 x 3/8' flat Phillips screws. Position the charger near the bottom right of the enclosure with the USB port facing the hole. PowerBoost 500 is mounted to the piboy-bottom.stl part with 2 #4 x 3/8' flat phillips screws. Lay the PCB in the center of the part, just below the Pi with the JST facing towards the bottom. Hold it place while you fasten the screws. Position the 2200mAh lithium battery to the bottom of piboy-bottom.stl with the wires facing up. Press it into the clips to snap it into place. Grab a chunk of fun-tac or putty and separate it into three pieces. Roll these pieces into strands and carefully tac them to the surface of the three pillars in the center of the piboy-bottom.stl part. Position the three PCB over the corresponding platform and press it down to hold it into place. Lay the piboy-top.stl part over and check to see if the traces line up with the button cut outs. Keep adjusting and checking the position of the races to get consistent alignment. Once you have good alignment, hold the piboy-top.stl part with the inside face up. Place the buttons and elastomer gaskets into the enclosure. Still holding the top part, grab the piboy-bottom.stl (containing all ze electronics) and place it top of piboy-top.stl and snap them together. Elastomers might have slipped when closing the case. Make sure the wires aren't obstructing any of the pillars. Make sure the solder points on the charger and PowerBoost aren't loose. Check that the wires aren't in the way of any of the pillars or buttons. How do I quit a game? How do I shut down the PiGrrl? This guide was first published on Jul 02, 2014. It was last updated on Jul 02, 2014.